There are a couple of affiliate links on our website. If you click on an affiliate link and choose to book or purchase through that link, then we make a small commission on the sale, at no additional cost to you. We only choose affiliate partnerships with companies or services we ourselves have used and would recommend. Michael and I, both have Kindles and have purchased lots of ebooks to keep us entertained on our travels. We find kindles perfect for cycle touring, as they are light, have a long battery life and can store tonnes of books. We’ve also used Amazon to purchase some camping gear and a few bike accessories. We also published our ebooks on Amazon KDP. Though we do mostly camp while cycle touring, occasionally we end up booking into a hostel, motel or guesthouse. The two sites I generally use are booking.com and Airbnb. Booking.com I find is great if you need something last minute – which is usually the case when cycle touring. Airbnb I tend to use if I need to book something a bit in advance, as you can usually find something a bit cheaper on there (most of the time, but not always). Booking.com has a lowest price guarantee, which I’ve tried and tested. Get $25AUD of free credit here! If you’re thinking of signing up to Airbnb, then sign up here to earn $45AUD credit (or the equivalent in your currency) for your first booking. I’m able to give you this through the referral program they have (which you can also take advantage of once you sign up). Read about the different accommodation options for cycle tourists. 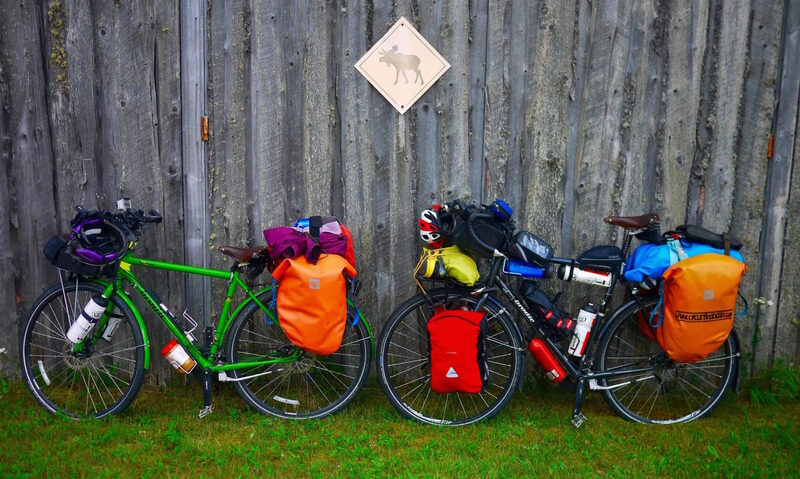 I’ve used World Nomads several times, both cycle touring and backpacking. I’ve made claims through them and never had any issues. In my experience they have great customer service and a quick response time. Find out why you should get travel insurance for your cycle tour! Extend and claim online while travelling. This is a huge plus if you are on a cycle tour, but you don’t know how long for. I was surprised to discover most insurance companies don’t offer this service. Most insurance policies (including World Nomads) only offer a max of 1 or 2 year policies, which means if you’re on a world cycle tour like us, you have to extend while already travelling. Covers a range of adventure sports and activities. Give a little back and support a community development project. I love supporting companies that have the same values as me.